The Wars of the Roses were a truly bloody time in English history. 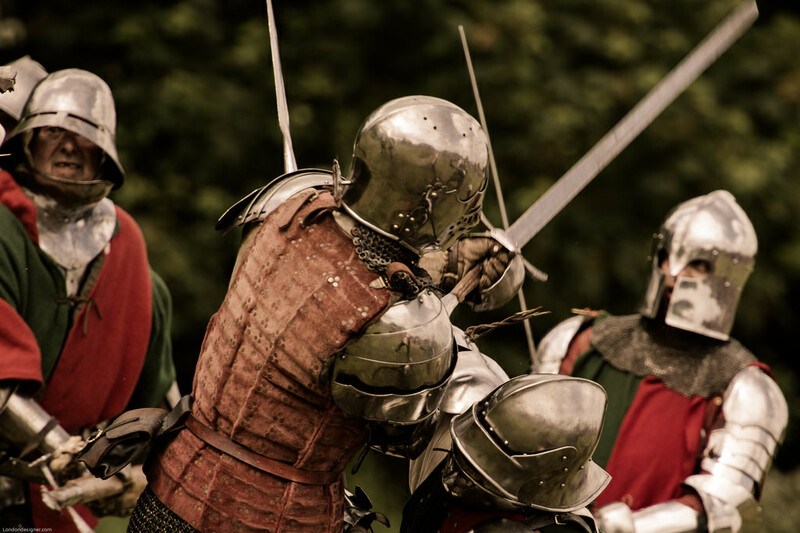 Two branches of the Plantagenet kings, known as the House of York and the House of Lancaster, tore English society apart with their brutal game of thrones. 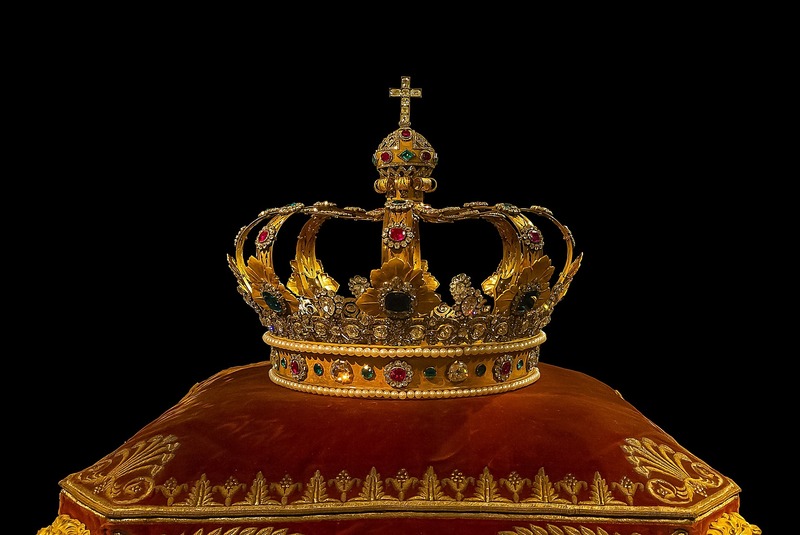 It’s hard to find a real out-and-out villain of the event, but one person who ended up on the wrong side of history would have to be Margaret of Anjou, the woman who was Queen of England, at least for a time. She’s either been remembered as a femme fatale, a villainess, or a lady who wasn’t afraid to fight for what was hers. 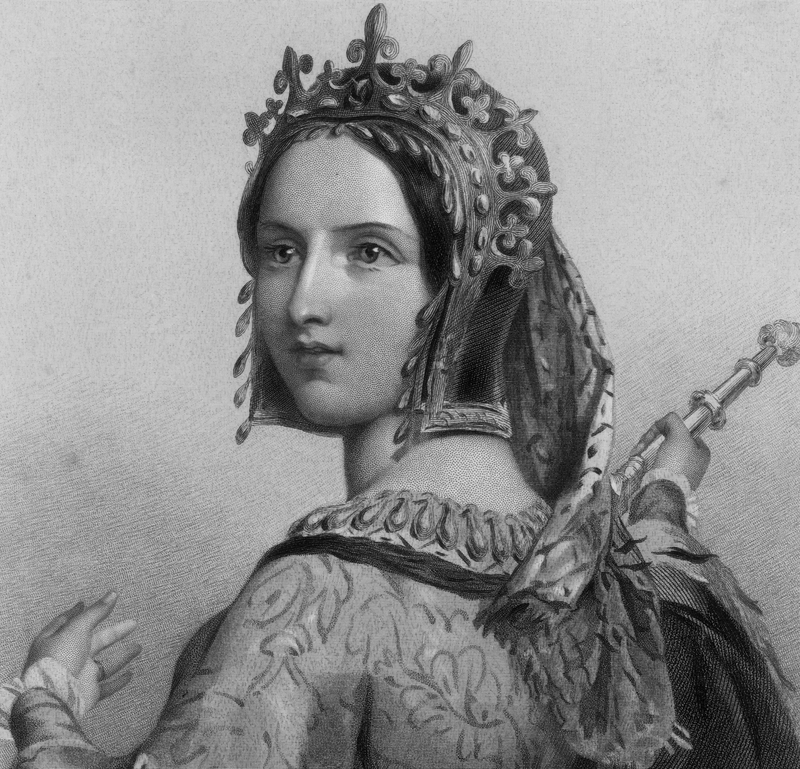 Here are 42 dangerous facts about Margaret of Anjou. 42. Can We See Your Birth Certificate? Despite her French ancestry, Margaret wasn’t actually born in Anjou, nor was she even born in what was then France. At the time of her birth in 1430, the region of Lorraine officially belonged to the Holy Roman Empire. 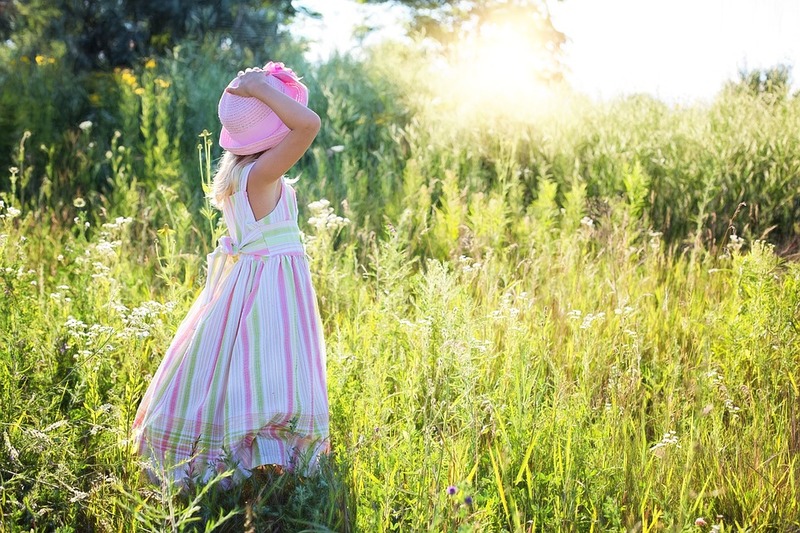 As a child, Margaret’s pet name to those who knew her was la petite créature, which has the benefit of being either cute or demeaning, depending on how you say it! Margaret was one of 10 children by her father, René, and her mother, Isabella. In an example of surprising symmetry, she had four sisters and five brothers. But just to mess that up, her father also had three other children with his mistresses. 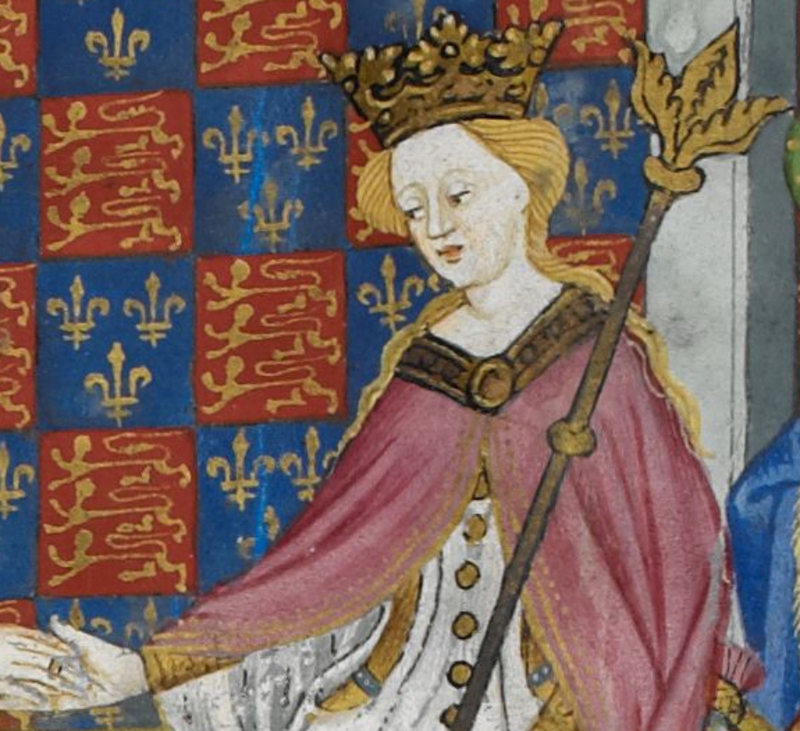 Margaret was crowned Queen Consort of Henry VI on May 30, 1445. She was only 15 years old, eight years younger than her husband. Margaret was descended from the French royal family known as Valois. 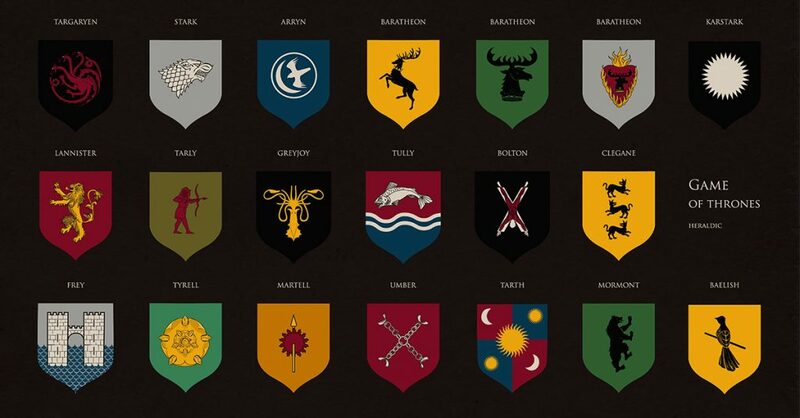 This dynasty had spent the Hundred Years’ War battling with the English for the throne of France. 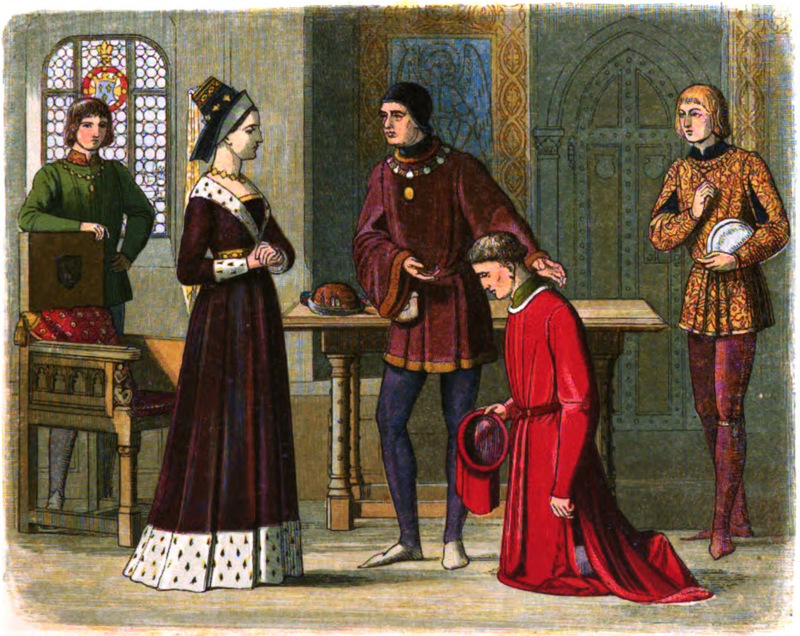 Margaret’s marriage to Henry VI was seen as another attempt to smooth things over between the two dynasties after decades of bloodshed. 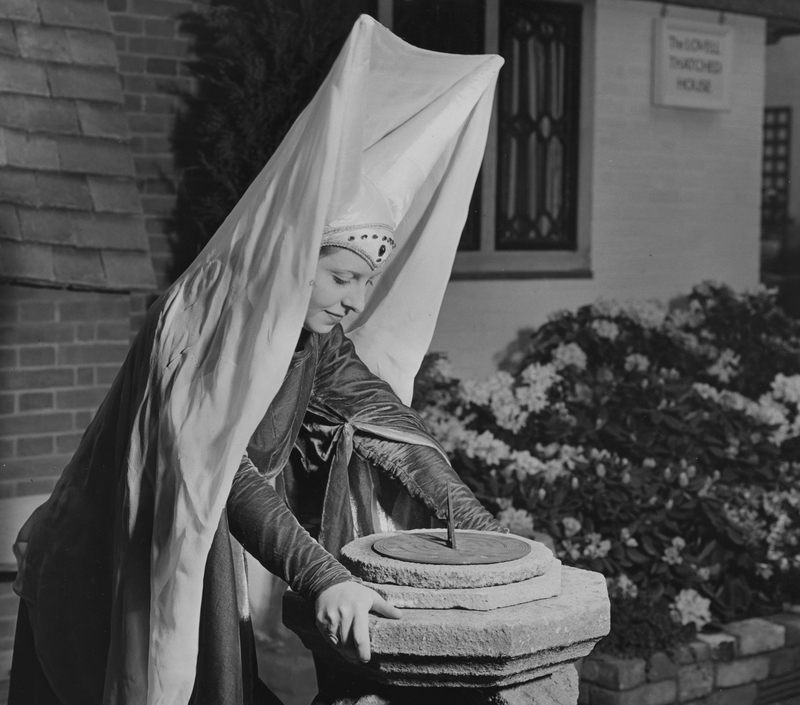 Margaret is a principal character in a trilogy of plays written by William Shakespeare on the Wars of the Roses, titled Henry VI, Parts 1, 2, and 3. She also makes an appearance in the fourth play about those wars, but we’ll get to that one later. In Henry VI Part 1, Margaret is a minor character, as the play is focused on the end of the Hundred Years’ War. The play does, however, foreshadow Margaret’s authoritative role in the war for House Lancaster. 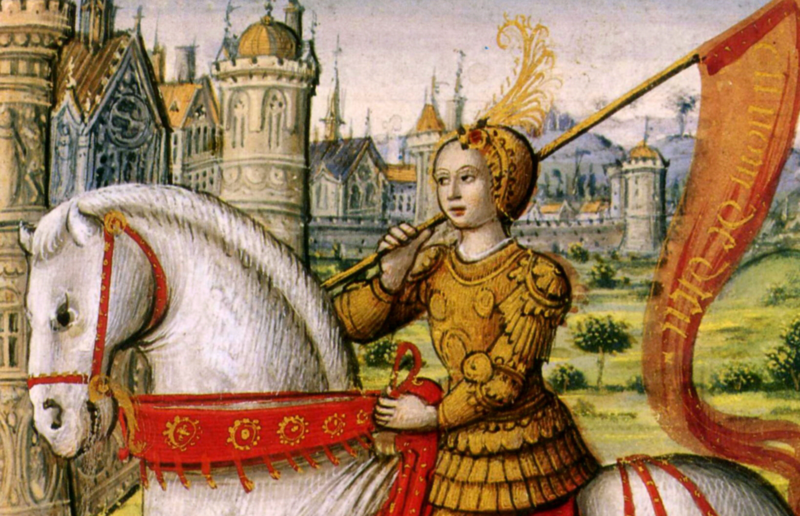 The warrior woman known as Joan of Arc is a prominent character in the play, providing precedence for Margaret to later lead armies personally during the Wars of the Roses. Shakespeare’s play did more to keep Margaret’s legacy alive than any history book could have done. 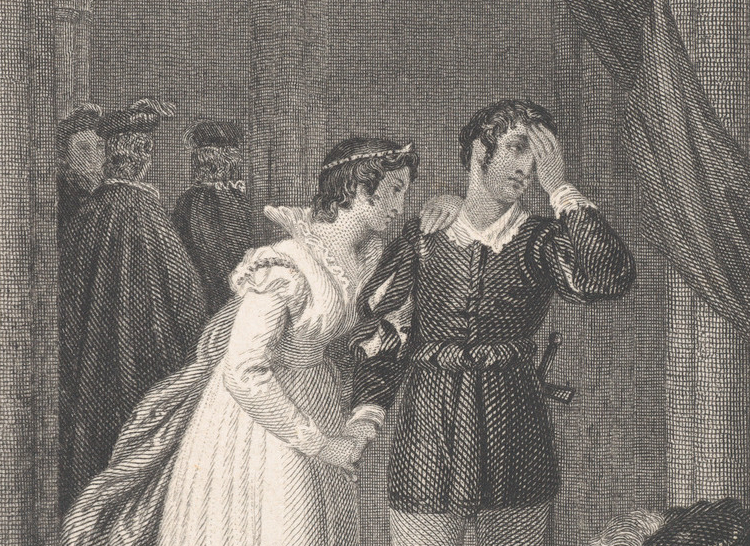 The success of Shakespeare led many within the theater world to look at the Wars of the Roses in a variety of ways. Margaret herself became the center of many plays, focusing on her rather than any of the kings who rose and fell during that time. 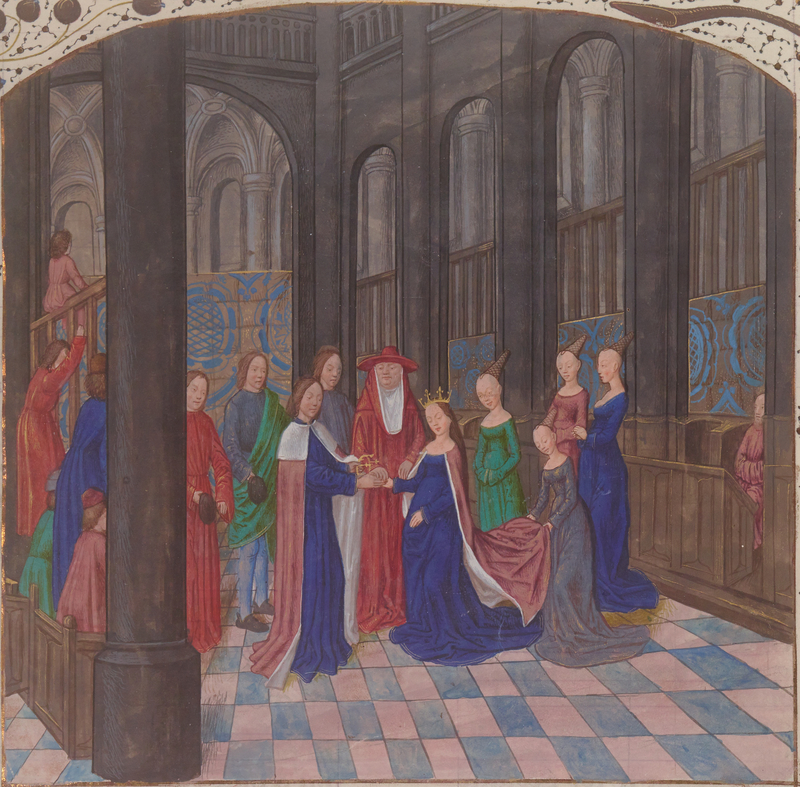 Interestingly, the king and queen of France were related to Margaret and Henry VI. Henry VI was the direct nephew of King Charles VII, while Charles VII’s wife, Marie of Anjou, was Margaret’s aunt. 33. Titles Cling to Me Like Wet Leaves! 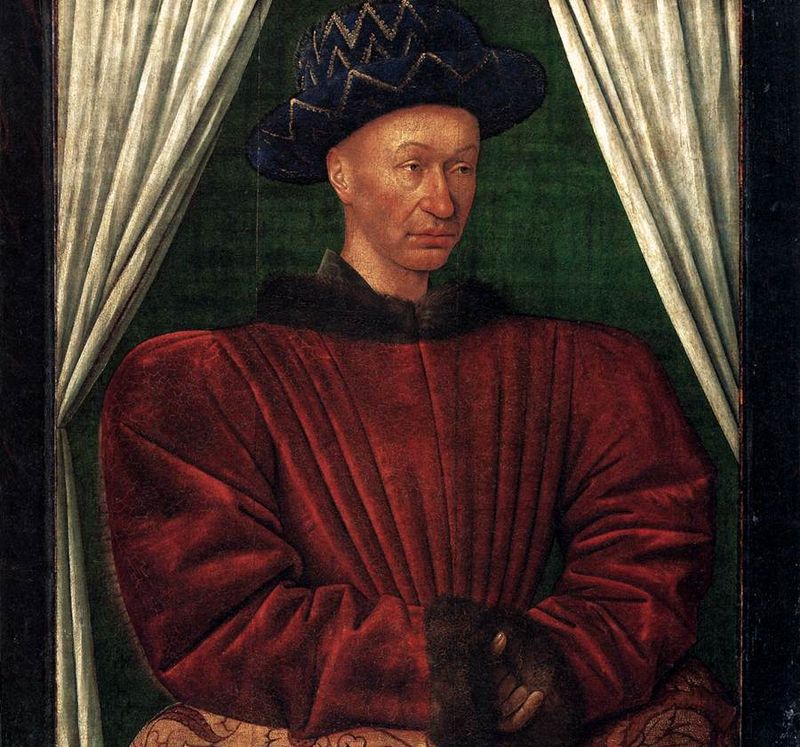 Margaret’s father was René of Anjou, who was also known as Good King René. In his lifetime, René held many titles, including the dukedom of Anjou. He was also known as the Count of Provence, Duke of Lorraine, King of Naples, and even King of Jerusalem—though that was in name only. One great inspiration to Margaret was her own mother, Isabella, the Duchess of Lorraine. On one occasion, Margaret’s father was imprisoned by a Count. Isabella promptly led an army to rescue her husband, negotiating terms for a ceasefire as well. Isabella would continue to take an active role in ruling the domains of her husband, which would only serve as an inspiration to Margaret when it came time to fight for what was hers. 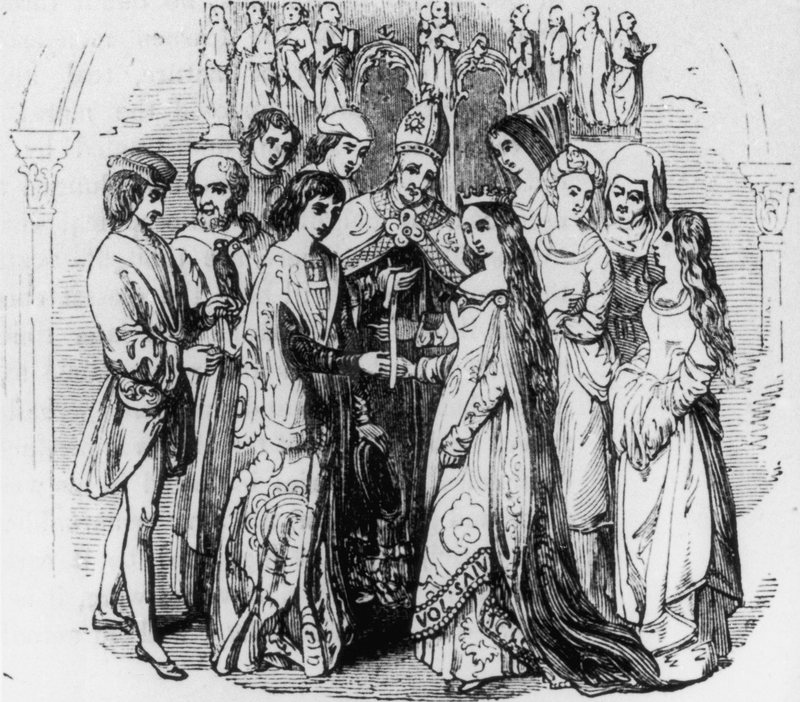 Despite the need for a male heir to the king, Margaret and Henry VI didn’t have a child until October 1453, more than eight years after their wedding. Edward of Westminster was Margaret’s only child, and she would spend a significant portion of her life fighting tooth and nail for her son’s inheritance. 30. Could You Say He Was the King’s Hand? Even at the time of their son’s birth, Henry VI was suffering mental breakdowns and exhibiting signs of a deteriorating mental state, which left him unfit to rule. As a result, Richard of York, a relative of the king, was appointed Lord Protector. However, Margaret wanted that power, and she began to resent York. As we’ll see, this enmity would have dire consequences. 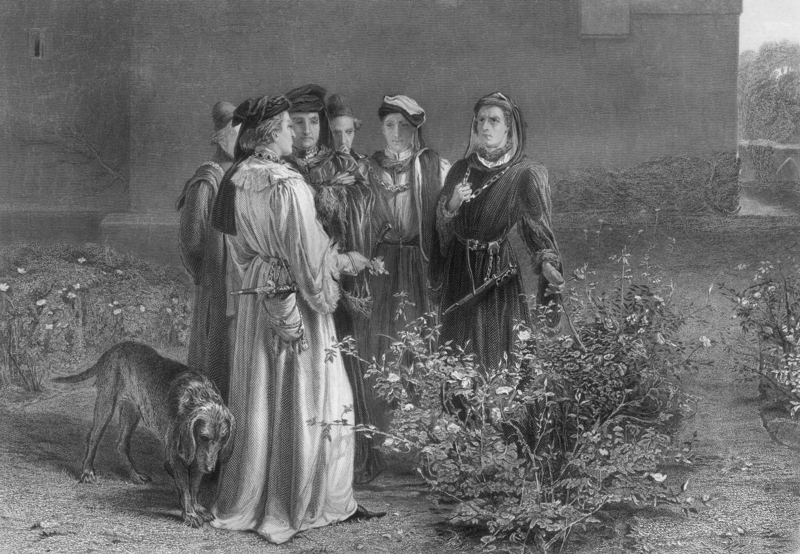 There’s much speculation surrounding the causes of the Wars of the Roses and why things turned out the way they did. One popular explanation is Margaret’s approach. 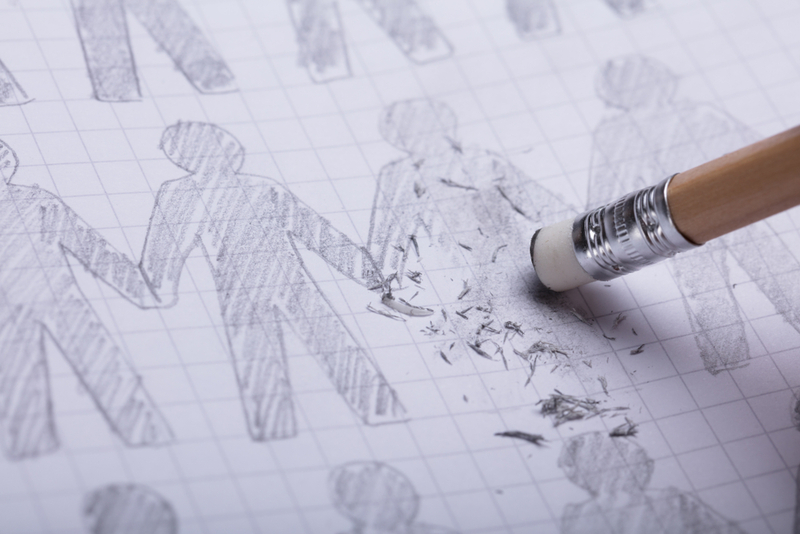 She was known to be fierce-tempered and unpopular, but she exacerbated her situation by choosing allies who were almost as unpopular as she was. Meanwhile, her enemies were powerful and able to draw many allies to their cause. 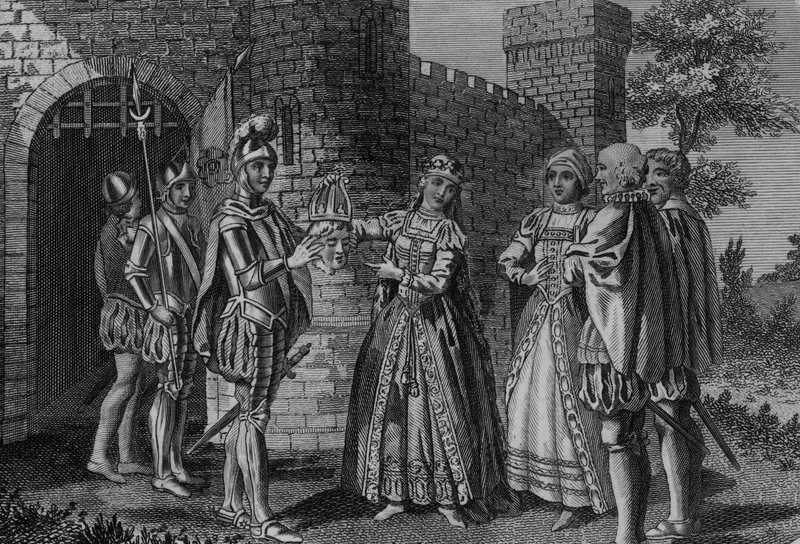 In William Shakespeare’s Richard III, Margaret is brought back to the English court—though in reality, she would have been nowhere near the English court during the reign of Richard III. 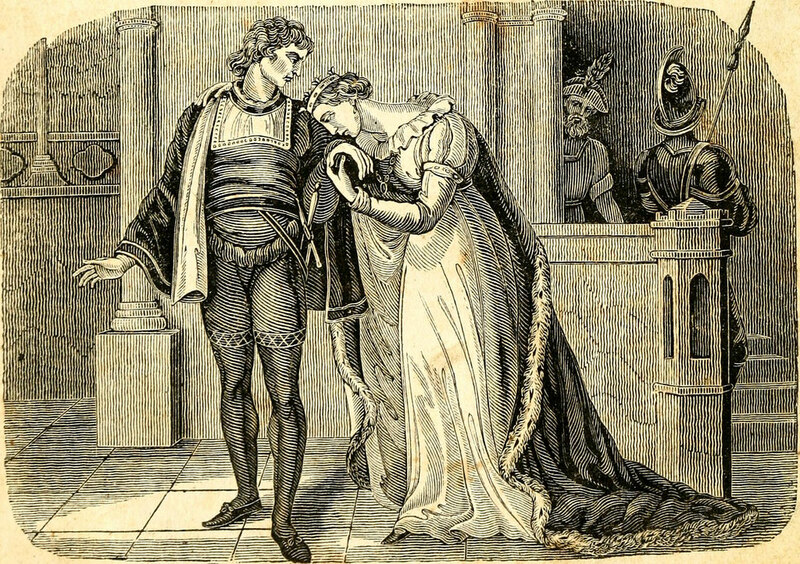 In the play, her character lives long enough to gleefully observe the corruption and destruction of the House of York thanks to Richard III’s schemes and deceit. By 1455, things had gotten very heated between the York and Lancaster factions. Margaret called for a Great Council, from which Richard of York and his allies were specifically excluded. 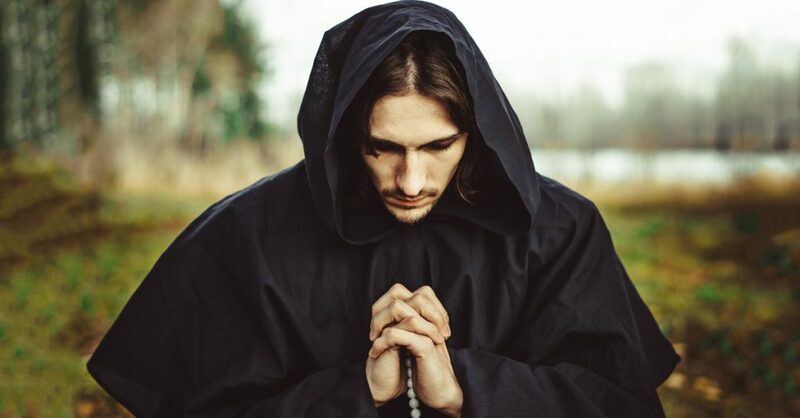 In practice, the council was a rallying point for the Lancastrian cause against the king’s enemies, which very much included Richard of York by that point. Despite Margaret’s Great Council, Richard of York was prepared for conflict, and he marched south with an army. 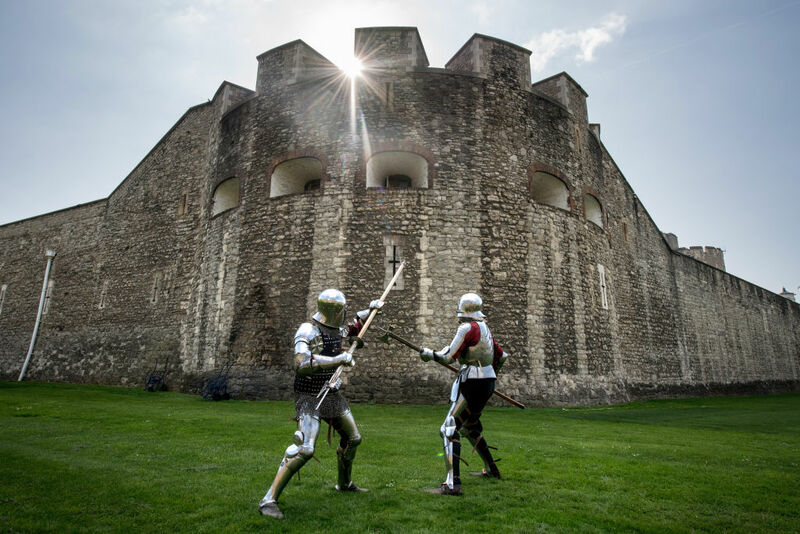 On May 22, 1455, the First Battle of St. Albans began the Wars of the Roses in earnest. Right off the bat, the Lancastrians suffered a horrific defeat. Several prominent Lancastrian nobles were killed, King Henry VI was taken prisoner, and Margaret fled to avoid capture as well. 25. Since When Did Margaret Have a Flemish Accent? 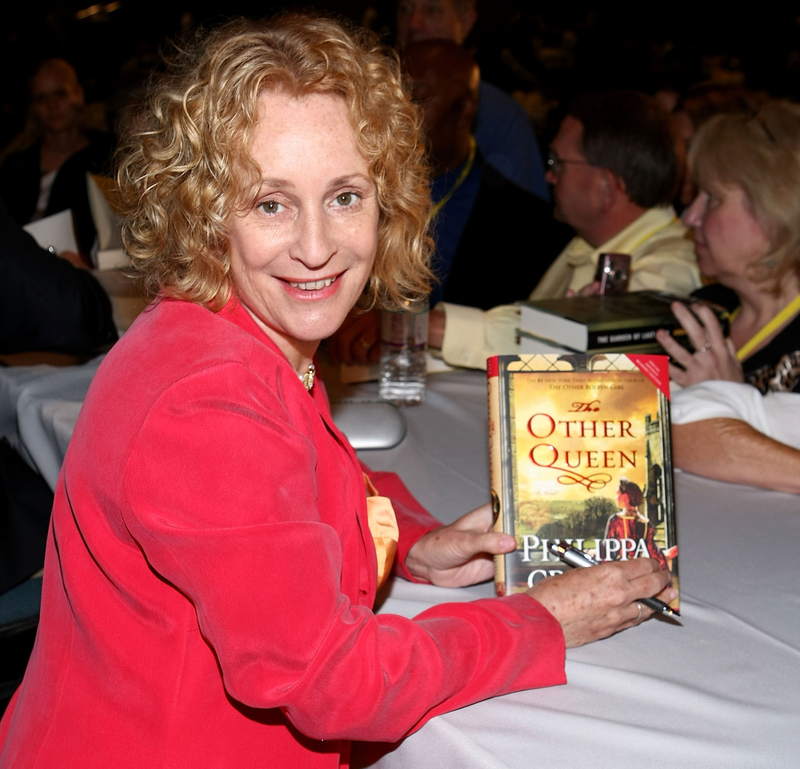 Starting in 2009, writer Philippa Gregory released a series of books on the Wars of the Roses, focusing on the women of the conflict such as Margaret, Elizabeth Woodville, and others. The BBC would go on to adapt the books into a series titled The White Queen, which premiered in 2013. Margaret was portrayed by Belgian actress Veerle Baetens. Despite her crushing defeat early in the war, Margaret and her allies would resume the conflicts in 1459. For her part, Margaret went north into Scotland to rally support for her cause amongst the Scots. 23. I Wish I’d Been There to See! 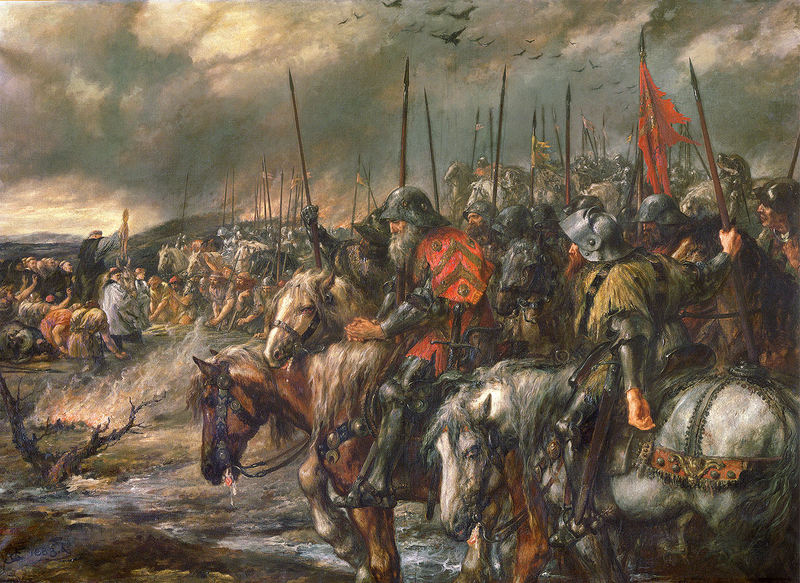 Margaret was still in Scotland when the Battle of Wakefield took place in 1460. This was a huge turning point in the fortunes of House Lancaster. Richard of York was either killed in battle or taken prisoner, and then summarily beheaded, much to Margaret’s satisfaction. His head would be displayed on the gates of York, with a paper crown mockingly placed on his head. 22. You Can’t Cut Me! I’m Too Important! 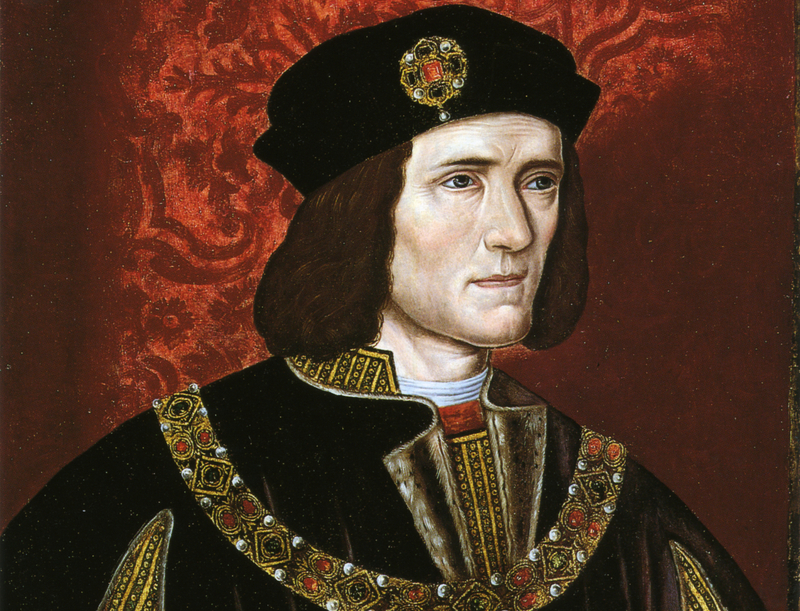 Because Shakespeare’s plays have been adapted for film and television so many times, it stands to reason that his plays on the Wars of the Roses would also get adaptations, especially Richard III. Despite the popularity of the latter play, however, the elderly, spiteful Margaret is often omitted from the story. This was true of both the Laurence Olivier film and the Ian McKellen film. 21. Is This German Fan-Fiction? 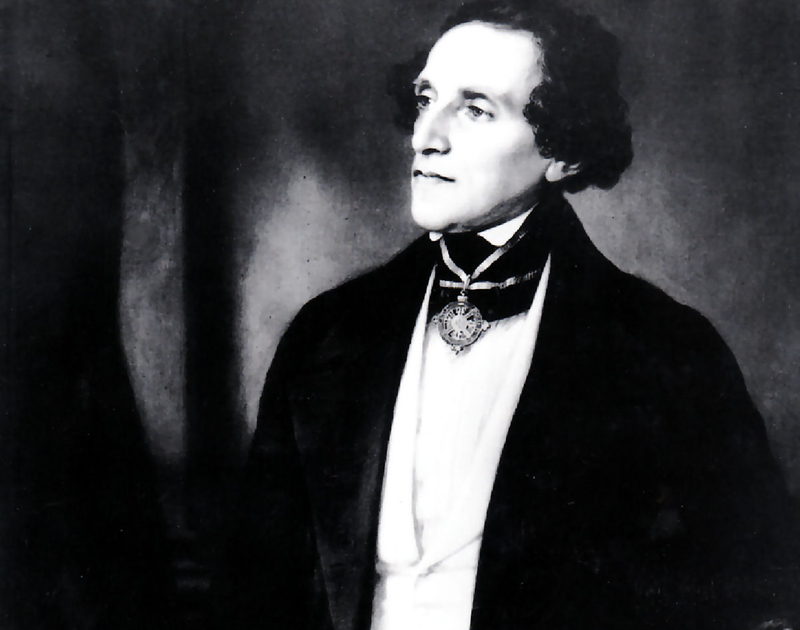 In 1820, German composer Giacomo Meyerbeer presented his opera Margherita d’Anjou. The opera follows Margaret in Scotland, leading an army to avenge her fallen husband, only to get caught up in a love triangle with one of her noble allies. No doubt the real Margaret would have been thrilled with this turn of events rather than her actual story! 20. Let the Good Times Roll! 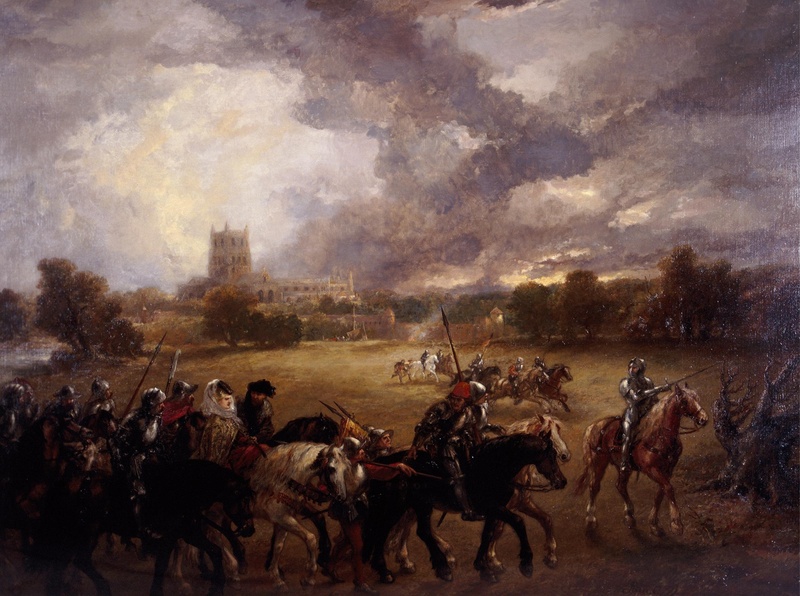 After the Battle of Wakefield, Margaret hurried back to England to lead the Lancaster forces so they could rescue King Henry VI, who was still a prisoner at the time. The Second Battle of St. Albans proved another victory for Lancaster, as Richard Neville’s troops were driven back and Henry was liberated. 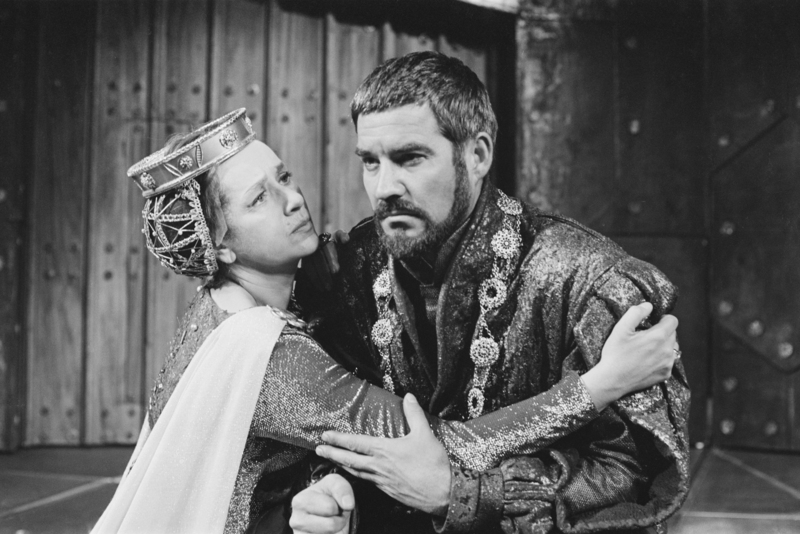 In the mid-1960s, the BBC broadcast the Royal Shakespeare Company’s portrayal of the Wars of the Roses, Margaret was portrayed by renowned British thespian Peggy Ashcroft. 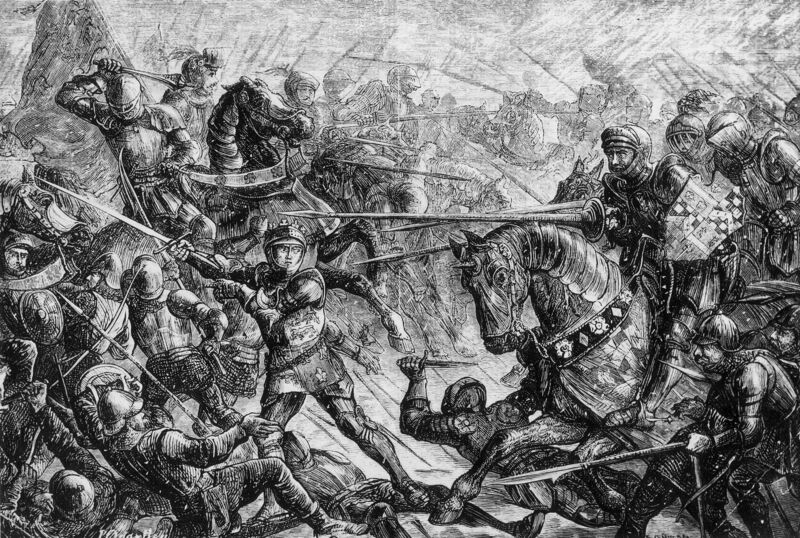 On March 29, 1461, the Battle of Towton resulted in another major defeat for House Lancaster, especially when Richard of York’s son crowned himself Edward IV in the battle’s aftermath. 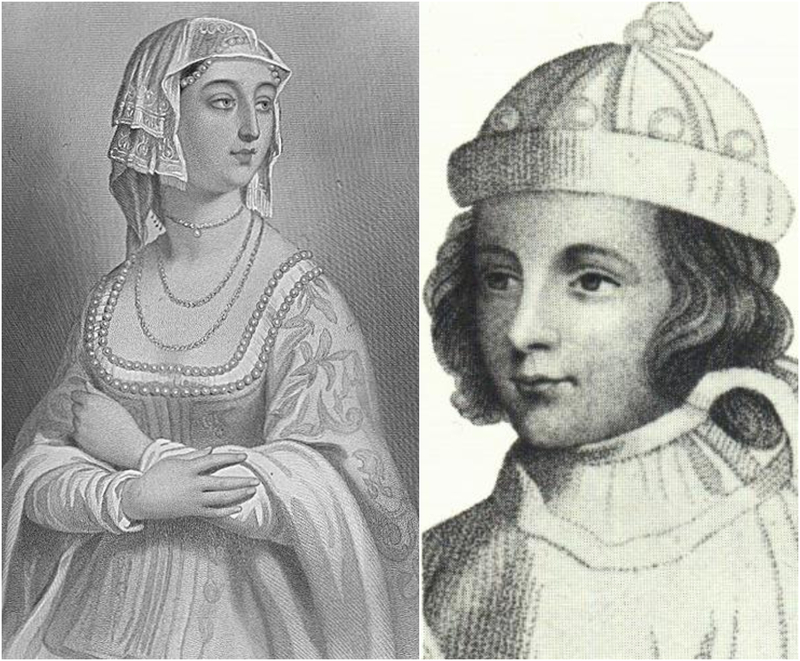 Margaret and her son, Edward of Westminster, fled England, traveling to Wales, Scotland, and finally, France. 17. Do I Know You? 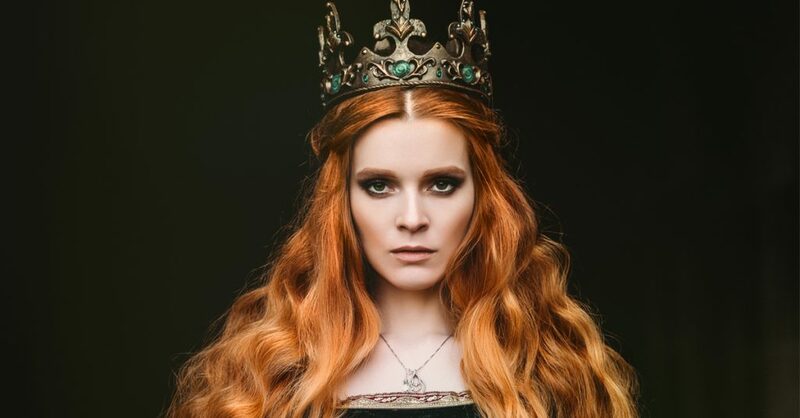 In a situation of great irony, one of Margaret’s many ladies-in-waiting was said to be none other than Elizabeth Woodville, the woman who would catch the eye of Edward IV while he was battling Margaret for the throne of England. Sadly, we must admit that there isn’t much evidence to support this hilarious coincidence, as there were a lot of women in those days called Elizabeth, so it might not have been Miss Woodville. One event which turned the English population against Margaret was a raid on the town of Sandwich in 1457. As England was still reeling from their losses in the Hundred Years’ War and were becoming embroiled in a conflict over the throne, Pierre de Brézé landed on the English coast from France with many soldiers. The raid on Sandwich resulted in, among other things, the cruel death of its mayor. Because Pierre de Brézé was a supporter of Margaret, this made her guilty by association. To this day, the town of Sandwich remembers this raid by having their mayors dressed in black to mourn their fallen predecessor. Margaret was still in France when she made common cause with Richard Neville, the Earl of Warwick. Warwick had supported the York cause throughout the war by that point, but when Edward IV married Elizabeth Woodville, Warwick instead turned to the Lancastrian cause. This led to triumph for Margaret, and she saw her husband restored to the throne in 1470. 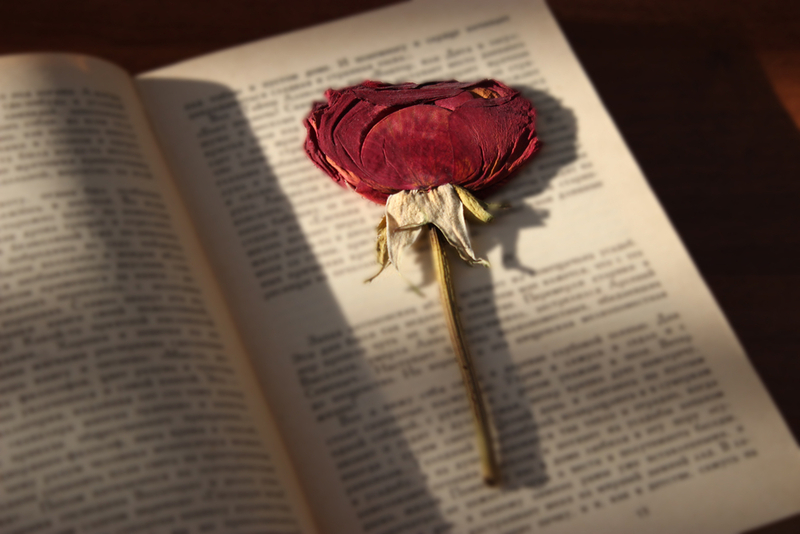 Among the many books written about Margaret is the 1982 novel The Red Rose of Anjou, written by Jean Plaidy. 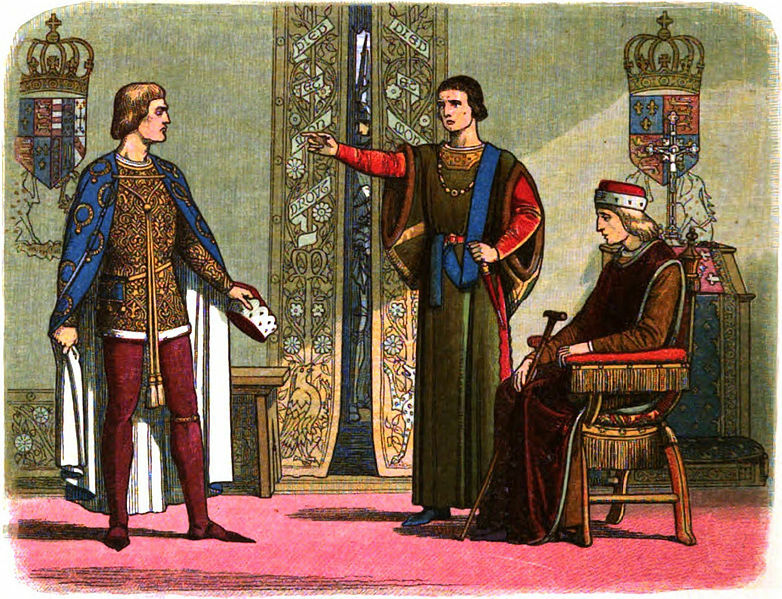 Because of Henry VI’s madness, many believed that Margaret’s son, Edward, was fathered by another man. The House of York had a field day with these rumors, further fueling Richard of York’s claim to be Henry VI’s real heir. Of course, this has never been proven, nor will it ever be proven—unless we invent time machines. According to the rumors, as well as speculation by historians, there were two potential baby daddies of Margaret’s son, Edward. One was James Butler, the 5th Earl of Ormond, while the other was Edmund Beaufort, the 2nd Duke of Somerset. 11. 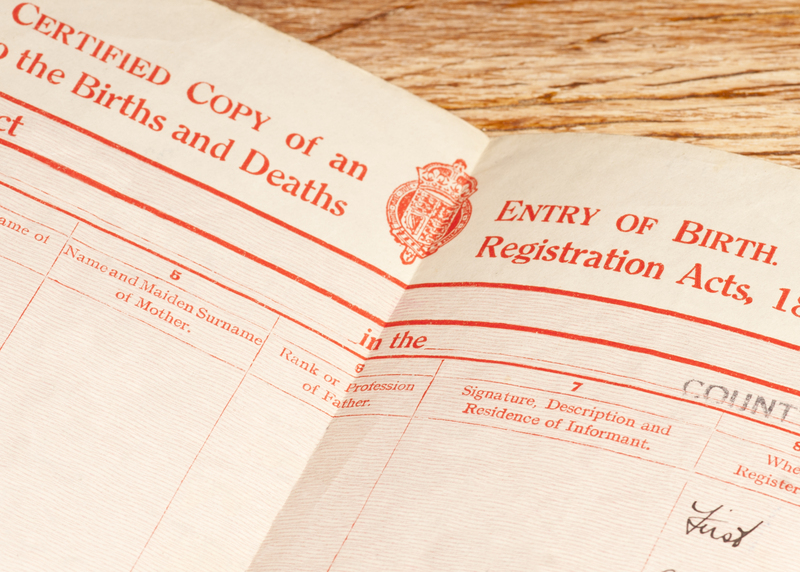 Study Her Signature So We Can Forge It! 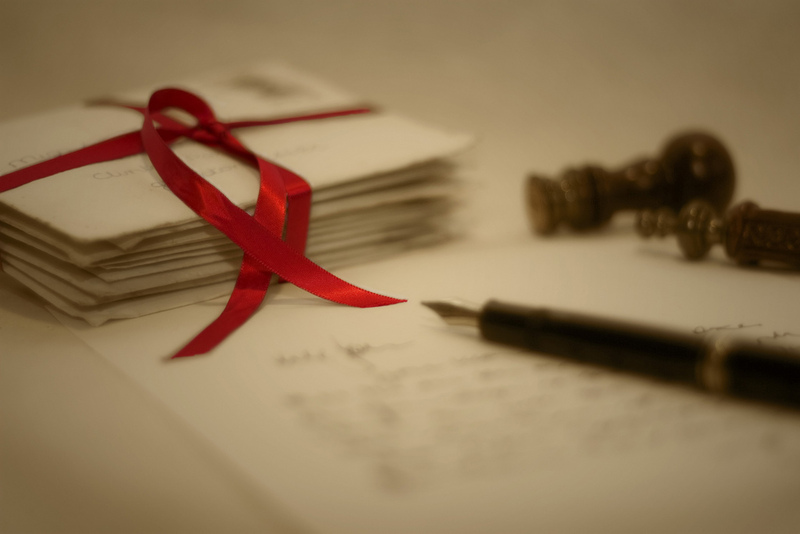 In her own lifetime, Margaret wrote many letters personally. During her time as Queen Consort, she would begin her letter with the phrase “By the Quene”—that’s how it was spelled back then. 10. Wait, We Missed Our Last Hurrah?! Just like with the Battle of Wakefield, Margaret wasn’t actually present to see her husband restored to his crown in 1470. She and her daughter-in-law, Ann Neville (Warwick’s daughter, married to Edward of Westminster to secure the new alliance), were still in France during that time. Ironically, by the time that they were ready to return to England, Warwick was dead and the Yorkists were on the rise again. By 1471, Margaret was leading the Lancaster forces again, with her major allies either dead or lost. Unfortunately for her, the Battle of Tewkesbury was her final defeat. Many of her soldiers were killed, as was her only son, Edward of Westminster. After the Battle of Tewkesbury, Margaret and her husband, Henry VI, were imprisoned in separate castles. 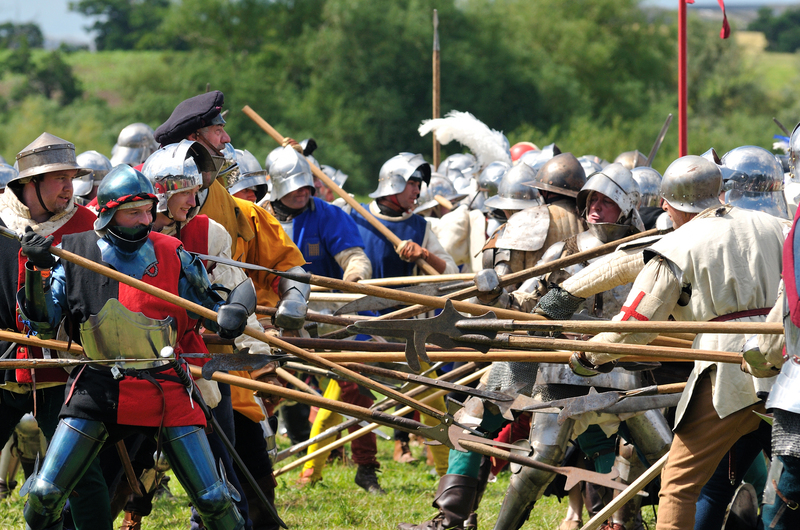 Henry VI would die less than a month after the Battle of Tewkesbury, though whether he died of natural causes or whether he was murdered is still a matter of debate. 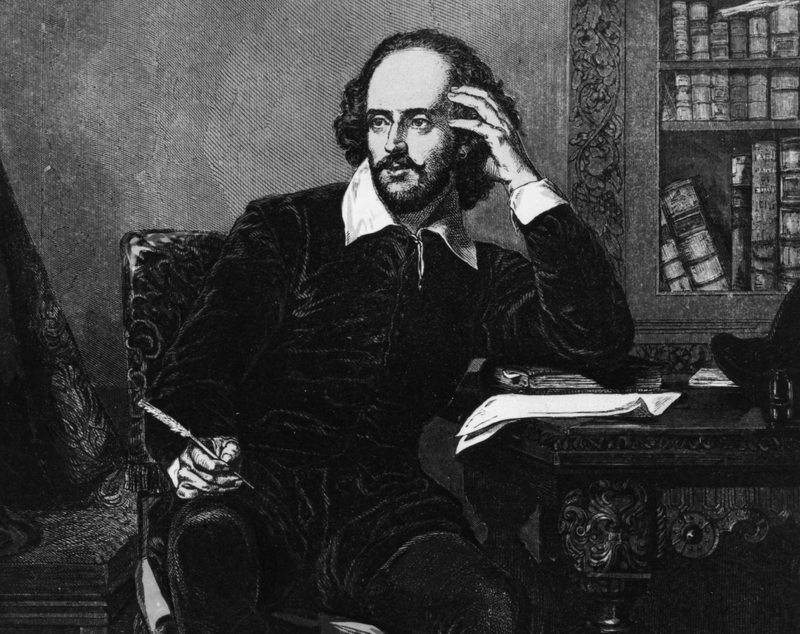 One person who had a field day vilifying Margaret from a historical standpoint was none other than the Bard himself, William Shakespeare. 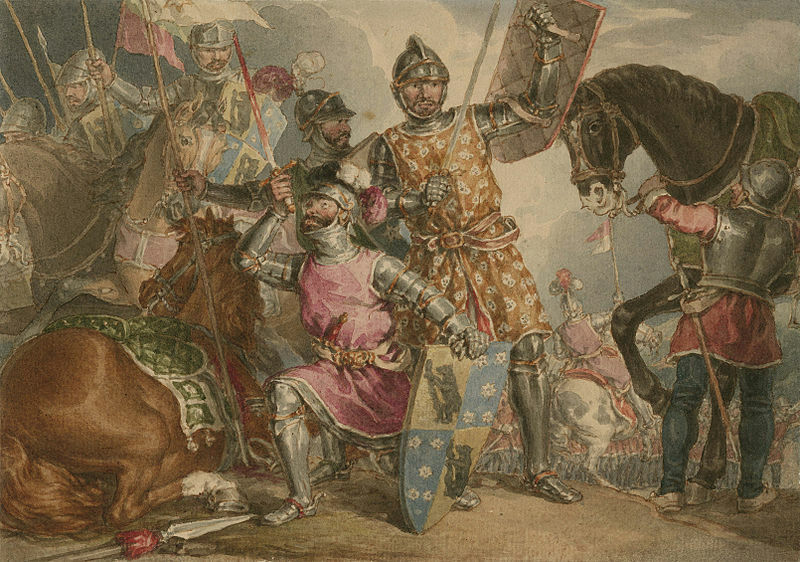 In his play Henry VI, Part 3, Margaret is present at the Battle of Wakefield, and she takes savage glee in mocking her captured enemy, Richard of York. Offering to dry his tears, she hands him a handkerchief covered in the blood of his slain son, who is portrayed as being a child. 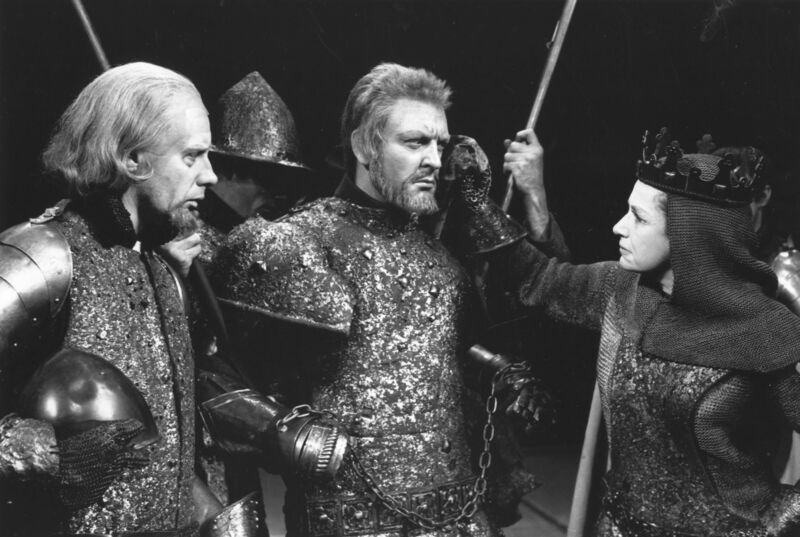 One reason why Shakespeare went to such great lengths to turn Margaret of Anjou into a villainous figure was because of his source materials. 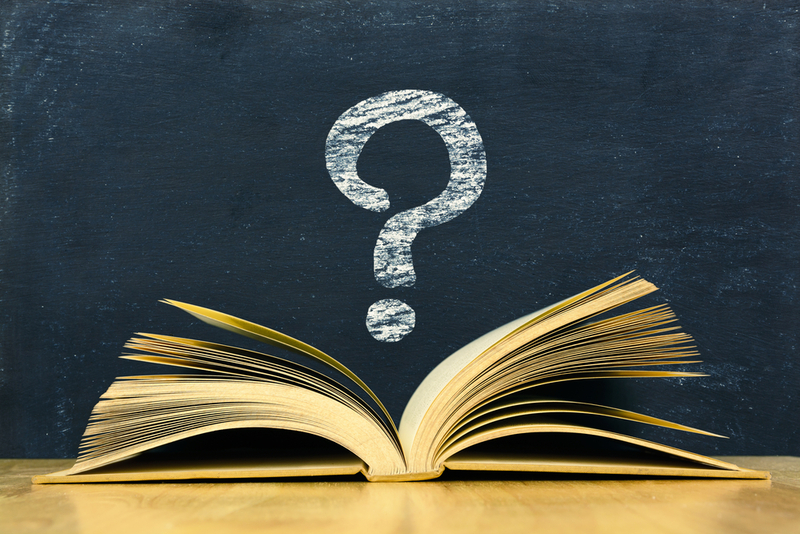 When bringing this history to life, Shakespeare relied on the information he got from such books as The Union of the Two Noble and Illustre Families of Lancaster and York by Edward Hall. 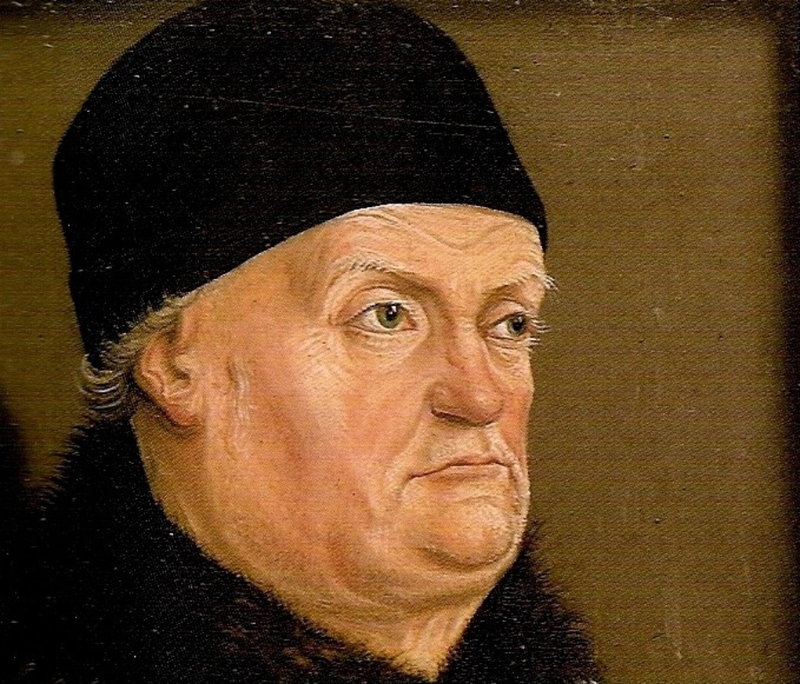 Hall portrayed Henry VI as a madman and an innocent victim of manipulative people such as Margaret. Margaret is also portrayed as being disloyal to anyone except her child. 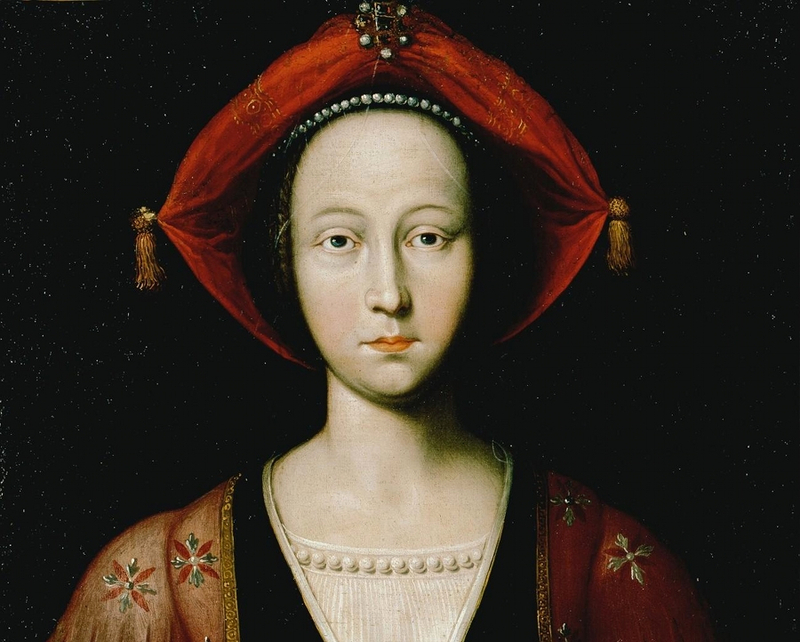 In 1475, Margaret was ransomed back to France by King Louis XI. She spent the next seven years living as a penniless relative of the king, meaning that she was looked after by such nobles as Francis de Vignolles. Margaret eventually died on August 25, 1482 at the age of 52. 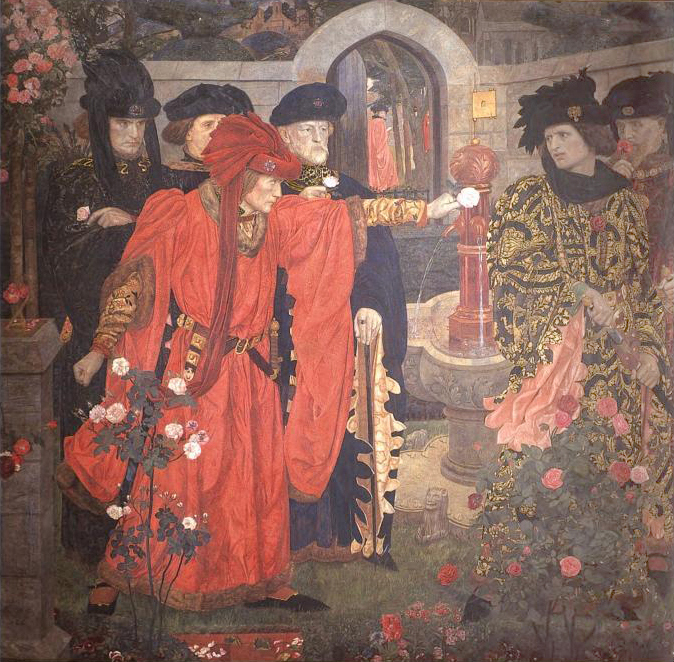 The Wars of the Roses would famously provide a lot of inspiration for writer George R.R. Martin to create the Song of Ice and Fire series, which became adapted by HBO into Game of Thrones. Many have noted that the character of Cersei Lannister shares a lot in common with the historical Margaret. Like Margaret, Cersei is rumored to have fathered her children with another man rather than her royal husband, though in Cersei’s case, that rumor is indisputably true. 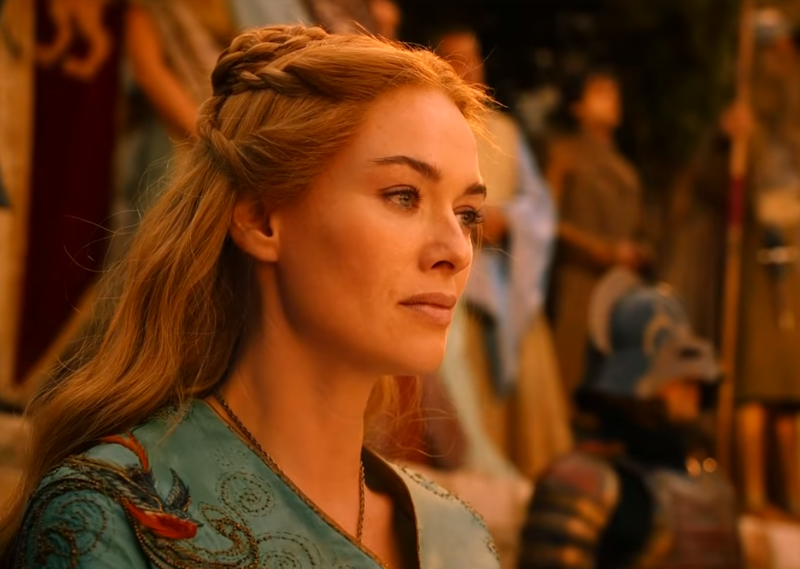 Also like Margaret, Cersei was fiercely devoted to her children, gained a reputation for deceit, and was ultimately forced to rely on mercenaries rather than genuine loyalty from the common people. 3. Talk About a Psychopath! 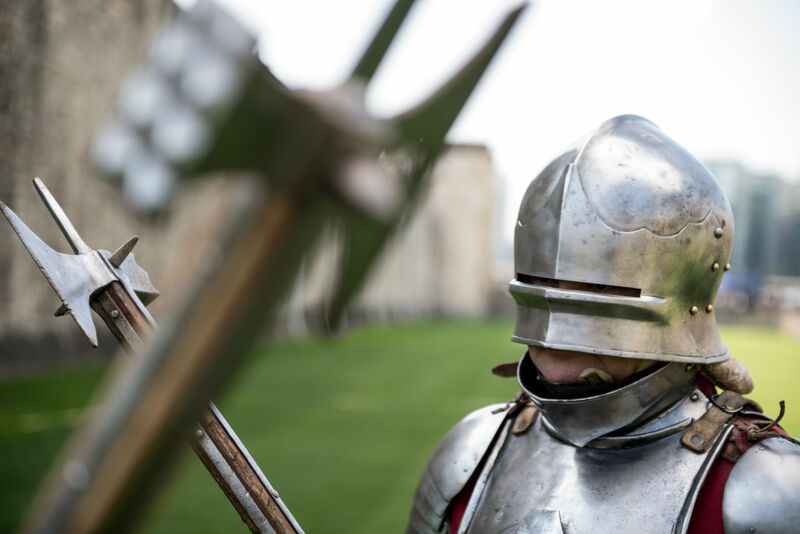 In 1461, Henry VI was held prisoner by the York forces, watched over by two knights. These two knights were captured after the battle. Though Henry VI had promised to spare their lives, Margaret overruled him and asked her son, a child, to decide how the two knights would die. Plot twist: these knights were also his cousins. When young Edward chose decapitation—all while his relatives begged for their lives—Margaret went ahead with the executions. Some debate whether this incident happened in this manner, but whether it did or not, it has always been used as a prime example of Margaret’s ruthlessness during the Wars of the Roses. 2. 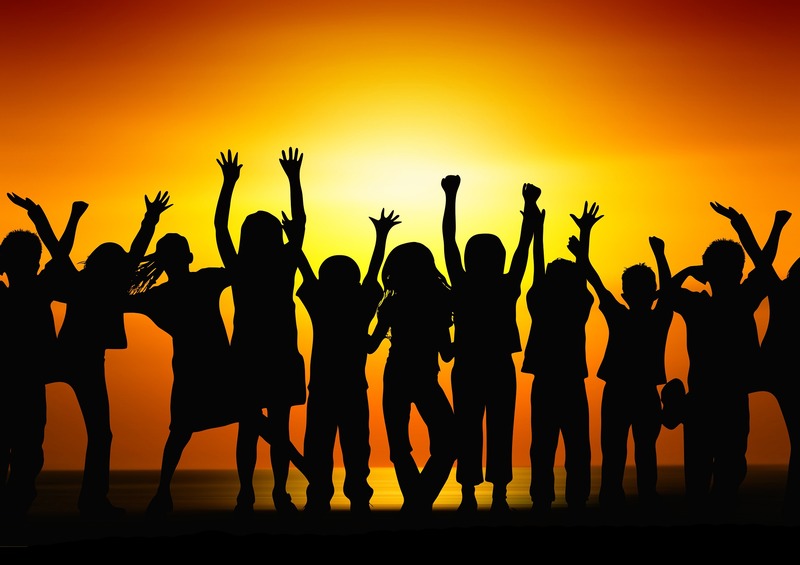 Lasting Legacy that Isn’t Negative! One of Margaret’s contributions to England which wasn’t comprised of warfare or fodder for the stage involved Cambridge University. 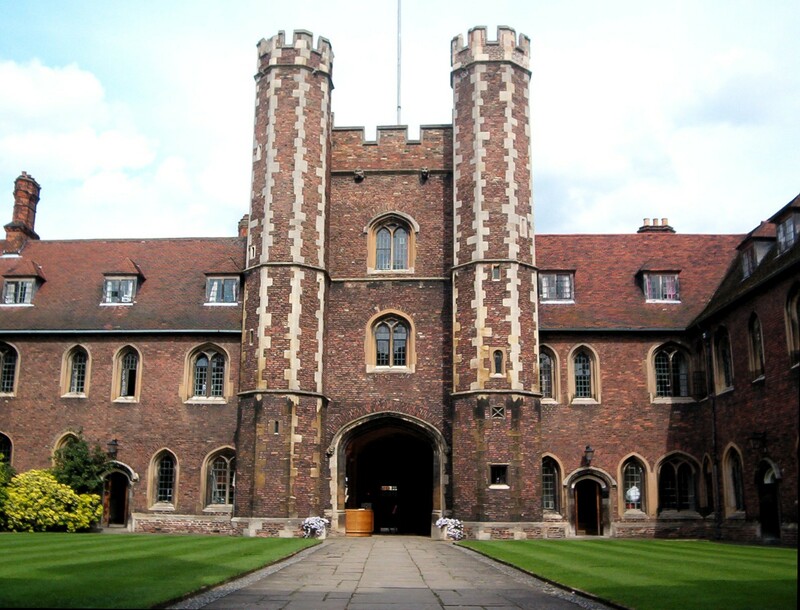 It was Margaret who founded and funded the establishment known as Queen’s College, which still exists to this day. Even in death, Margaret was not allowed to rest in peace. 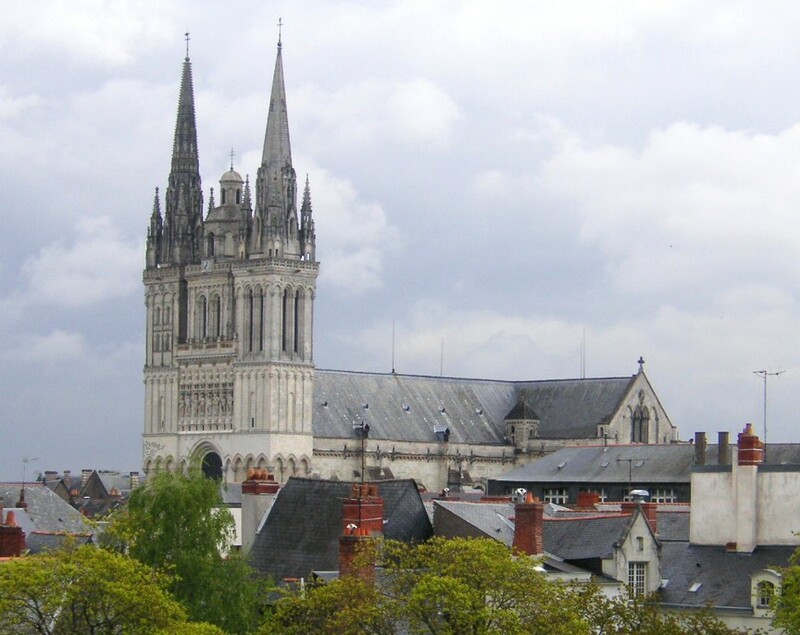 She was initially entombed in Angers Cathedral alongside her parents. However, many years later, the French Revolution swept France, resulting in an upheaval of society which is still legendary to this day. The cathedral was ransacked by revolutionaries, who broke open Margaret’s tomb and scattered her bones and remains, presumably after they’d recently watched a rendition of Shakespeare’s Henry VI, Part 3.